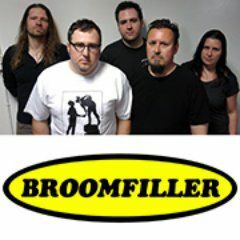 BROOMFILLER is Toronto, Canada’s answer to melodic punk rock. Blending melodic vocals, bass lines and rhythmic drumming with a very energetic live show enables them to easily stand out. Trikeman69, Trike's Trax BROOMFILLER is compared to Foo Fighters holding hands with Millencolin and Bracket while sitting on a park bench built by Jawbox & Husker Du while eating a sandwich prepared by Bad Religion and washing it all down with a stiff drink mixed by Face to Face. “BROOMFILLER is proving that guitar drove Punk Rock is still alive and well” Matt Hartwick, Kingston Music Reviews Enlisting Jordon Zadorozny (Blinker the Star / Lindsey Buckingham / Courtney Love) to produce, “Third Stage Propellor Index” which was released August 28th, 2015.The Single “How Long, So Long” climbed up the BDS Bullet charts starting from #228 to #128 in one week, as well as hitting the Top 10 (#6) on the 365 Radio Network and Charted #1 on both Radio Banks Australia & Sommer Valley FM in Somerset, UK! The music video had just over 6000 views only 2 months after posting on Facebook. Currently, the video has just over 12K views and counting! “damn easy to listen to...very tuneful and as catchy...” Mosh, The Moshville Times In support of the new album, the band toured Western Canada (17 shows in 18 days) during September / October 2015, taking them from Toronto to Vancouver and back, as well as an Eastern Canadian tour July / August 2016, which took BROOMFILLER to Charlottetown, PEI and back (12 shows in 11 days). “It's tricky finding a balance between punk and musical, and BROOMFILLER does it well.” Bob Mersereau, The Top 100 Canadian Singles Recently awarded the FACTOR Demo Grant, BROOMFILLER plans to hit the studio to begin pre- production on new music this spring. Watch for many more music videos and show & tour announcements coming soon near you!! !